Yesterday I went to a nursing home that specializes in memory impaired residents and met with the activities director/part time volunteer manager (PTVM). PTVM’s have the additional burden of the time constraints their other “more important” jobs put upon them. 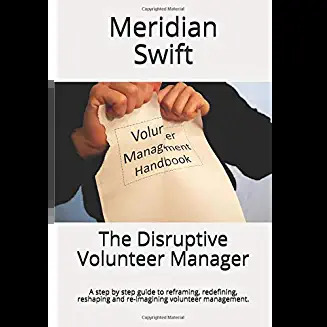 For them, volunteer management becomes secondary, less important and although they realize the gravity of managing volunteers, they do not have the resources or the support to effectively do that part of their job. They are stuck doing the best they can. I just listened as Ralph with the cowboy hat took my arm and let me help him up. I wanted to say that it would get better, but who would I be kidding? Not Jolie, who has been doing this for years. She knows full well that being a PTVM requires full time attention with minimal time. And she knows that staff will leave everything involving volunteers to her. When Jolie is not there, the volunteers are on their own. How many times does senior management wonder why volunteers need management at all? How often do they sigh and wonder what we all do each day? 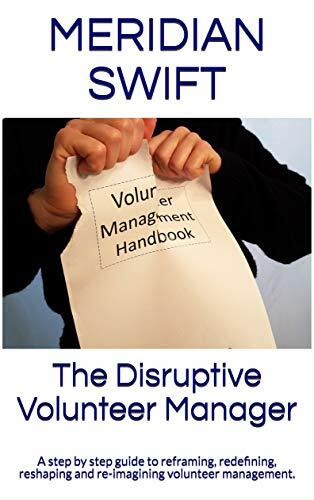 After all, volunteers need no management, they are really like the copier or the laptop, no? Turn them on and they produce, right? Folks like Jolie will never be able to have the stable of volunteers they need. Jolie, who is a great volunteer manager will never be able to give her volunteer program the attention she’d love to give because she doesn’t have the time, nor the backing. She will continue to struggle and her residents will be denied all the wonderful programs and ideas she has rattling around in her already stuffed brain. As Jolie waved to me from her perch in that huge van, her smile radiated resolve. PTVMs are resourceful, hard working and committed. Until volunteer management is viewed as a complex profession, no one will really know what Jolie goes through to attract and keep her volunteers. No one, but us. Great post, Meridian! I have learned to avoid applying for jobs where “volunteer management” is tacked on to the job description as an afterthought. I admire Jolie’s enthusiasm, but if she is not able to get management to understand the value and importance of volunteer management, and to invest in it appropriately, she is going to have a really hard time as the organizational needs increase and she is trying to balance it all. I hope she is able to find some way to successfully advocate for herself, the volunteers, and the residents, or she is going to be one burned out PTVM. Thanks Kristen! I love your description, “volunteer management tacked on” because that sums it up. Can you imagine tacking on to a job description for a mental health counselor, “also the hiring, firing and personnel duties for all staff”? Hopefully Jolie will flourish and get the support she and the volunteers need. We’ll see. All hail to Jolie for her persistence. The tragedy is that people like Jolie have been persisting for decades, and we keep on letting it happen. Why can’t we (managers of volunteers) make the change we want to see? Ummm…. that’s another tragedy. You are so right, we need a global movement to elevate both part time and full time volunteer managers. If not for us, then for those that come after us. Maybe we need a global petition or better yet, a volunteer based grass roots movement!